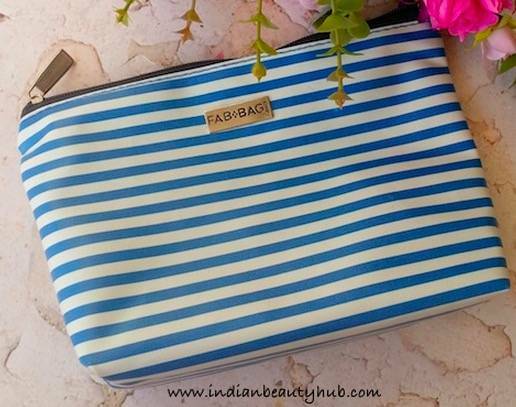 Hey everyone, today I’m going to do a comparison post of the leading Beauty Subscription Boxes available in India – Fab Bag, MSM Box and My Envy Box. 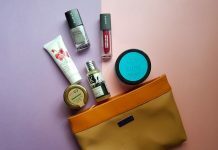 When you subscribe for these beauty boxes, every month you will receive a box/bag containing skincare, haircare and makeup products (samples & full size) from different brands. Some of these boxes contain high-end brand products which are either expensive or are not easily available in India. I really liked the idea of these beauty boxes as they offer sample size products which you can try & test before investing in the full-size products. These boxes add new brands and products every month which keeps you excited and eagerly waiting for your next box. These boxes are also ideal for gifting purpose. I subscribed all of the 3 main beauty boxes (Fab Bag, MSM Box, My Envy Box) available in India and now I’m ready to do a comparison between them. Fab Bag : My most favorite among all is the Fab Bag, which I’ve subscribed for more than 2 years. They offer monthly (Rs.599), 3 months (Rs.1499), 6 months (Rs.2699) and 1 year (Rs.4799) subscription plans and also offer men Fab Bag. 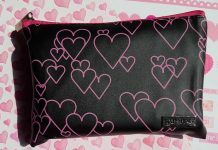 Click to check my previous Fab Bags. With a Fab Bag subscription, you will step into a world of unending surprises. Every month they send you 3 deluxe cosmetics & beauty products from top global brands plus expert tips-n-tricks that will help you get the most out of every product. Try them and discover what works for you. Once you know what you like, get juicy discounts when you shop for your favorites at their online store. 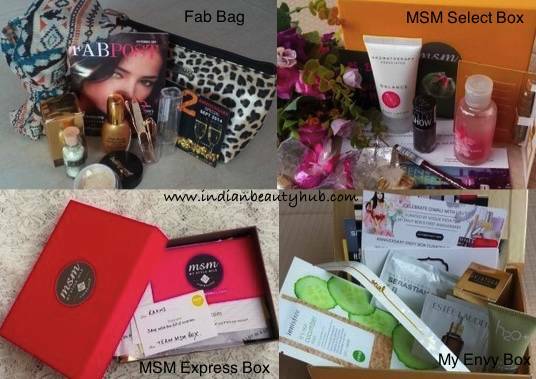 MSM (MyStyleMile) Box : My second favorite beauty box is MSM Box, they offer two boxes options – MSM Express Box (Rs.495/month) and MSM Select Box (Rs.995/month). They also offer men box which costs Rs.1495. Click to check my previous MSM Boxes. MSM Box’s motto is ‘a lot in a little’, they offer consumers the opportunity to buy, try and enjoy beauty brands in the market. Every month, you get a surprise goodie box containing beauty, grooming and lifestyle products from new and established beauty brands. For starters, the box contains full size products along with carefully curated samples. Besides that, to really delight the consumer, we don’t just take care of your beauty and grooming needs. We go the extra mile and offer something more through our collaborations and associations with leading salons/spas, cafe’s and shopping. My Envy Box : My least favorite among all is the My Envy Box, as the product samples are very small and sometimes the sample do not last for more than 2 usages. Like other subscription, they also offer monthly (Rs.850), 3 months (Rs.2250), 6 months (Rs.4350) and 1 year (Rs.8500) subscription plans. Click to check my previous My Envy Boxes. My Envy Box is the leading discovery commerce platform that offers a unique and personalized way to discover, learn about, and shop for the best beauty, grooming, and lifestyle products in the market. Get 5 trial sized beauty products (typically 2ml-10ml) from the top international luxury and prestige brands delivered to your door step every month. Each month subscriber will get a box of samples of leading beauty products. Learn about the latest product and trends in beauty from our beauty experts at Elle magazine and our in-house beauty experts. When you are ready for more of the products you sampled, you can purchase full-size versions directly from the Boutique. We have a generous loyalty program that rewards you every time you shop, refer friends, and give feedback on your monthly samples. You can redeem Envy Points and save on all orders on the online boutique. Well fab bag isn’t “Fully customized according to skin type & hair types’,i have oil skin but they have sent normal skin products to me many times,so maybe they dn’t customize fully..
Hello Sharmistha, it may happen sometimes that they send non-compatible product. I also faced the issue 2 times in last 18 months but every-time I contacted them regarding that and they sent me the correct product. 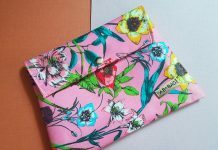 So I will advise you to contact the Fab Bag team if they are sending you a product type which you have not filled in the customization form, which is filled at the start of the subscription. if you mind if i ask u qsn regarding the subscription process online…. what does the quantity mean,is it quantity of whole fab bag or the products included .. Excellent comparison… I went and subscribed for Fab bag. Thank you! How do you customize your fab bag? Where do we put in details about our skin and hair type? I hate fab bag customer services..it will non survive with such careless attitude.